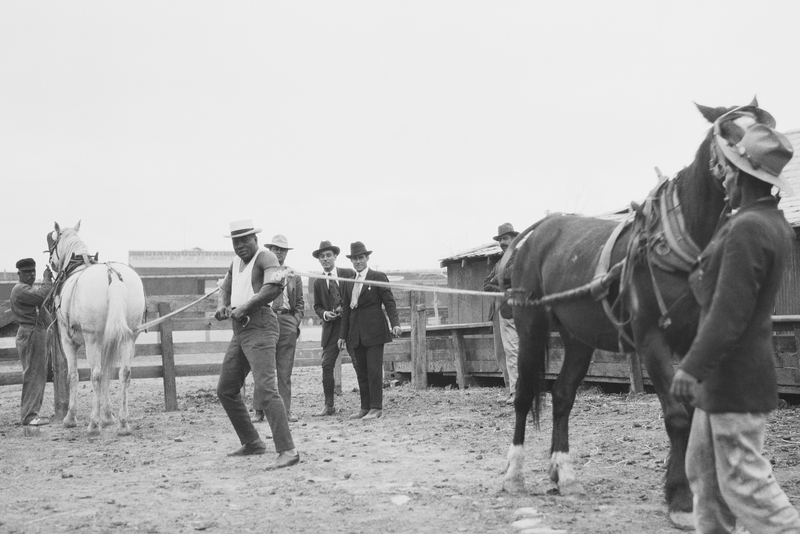 A 40-year-old Jack Johnson conditions hinself by pitting his strength against that of two horses. 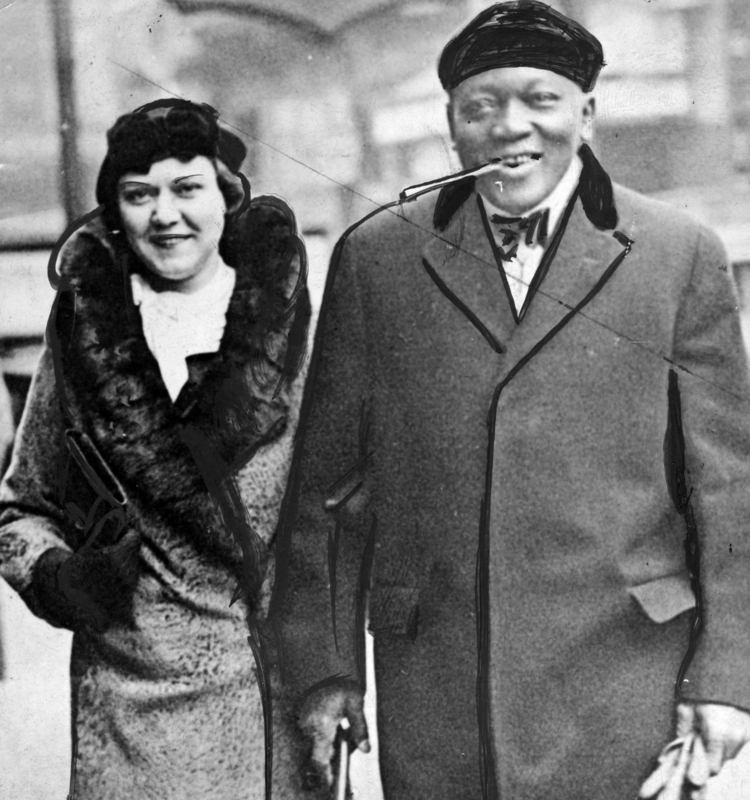 Jack Johnson with his second wife, Lucille Cameron. 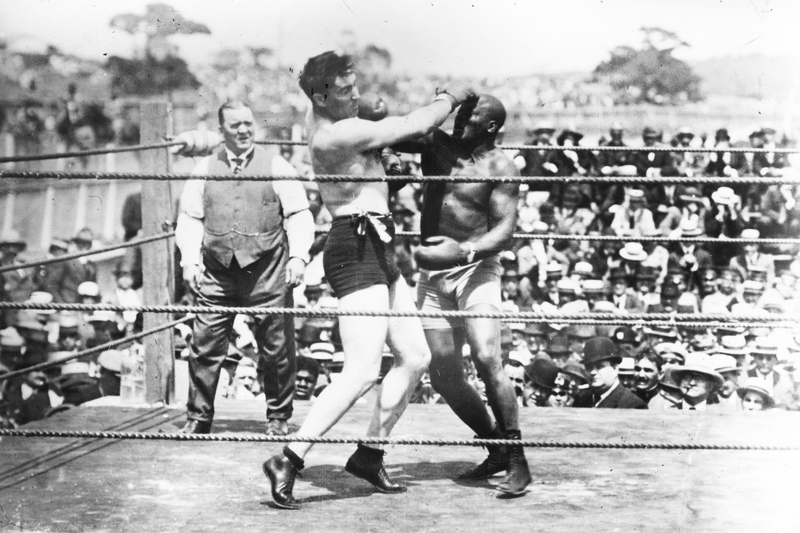 Jack Johnson fights Jess Willard in Havana, Cuba in 1915. In Chicago, thousands of African-Americans welcomed Johnson’s return — even though he was in custody. Police fought back the crowd to make way for Johnson and his wife. Johnson spent months in Joliet Prison and Geneva Jail before a judge ordered him to Leavenworth, where Johnson entered on Sept. 19, 1920, to a crowd of cheering inmates. Five days later, he sent a telegram to his wife in Chicago informing her he’d arranged for her to receive $50 every two weeks.